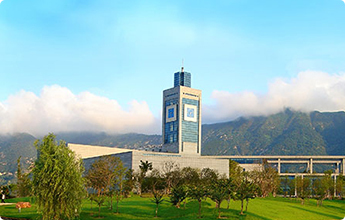 School of Business (Finance Research Institution) in Wenzhou University, rooted in the features of management practice in Wenzhou, is devoted to building a specialized “Cradle of Entrepreneur”. The School dedicates to teaching practice and disciplines construction, and is committed to high quality contributions to knowledge and practice in the field of business practice. With the strengths grounded in a long standing tradition of close integration with the active spirit of entrepreneur and close engagement with enterprise practice in Wenzhou, the School is aiming to build a high-impact, professional, and specialized Business School. School of Business has a strong staff team of 69 staff members, among which 12 are professors, 28 are associate professors, and 31 are doctor degree holders. With a strong faculty staff team, the school offers 6 key and specialized undergraduate programs (Economics, International Economics and Trade, Finance, Business Management, Marketing, and Financial Management) and 1 provincial key master by research program (Socialist Market Economy Theory and Practice). Currently, the School has more than 1,600 full-time undergraduate students and 35 master students. The school’s teaching practice is equipped with 13 demonstration centers and laboratories where students can conduct business practice in ERP system, information management, financial management, simulation experiment of import and export business, business negotiation, stocks trade, etc. Under the supervision of Zhejiang business practice and Entrepreneur preparation courses, the students had undertaken more than 10 national innovation and entrepreneurship projects and won up to 80 awards in national, provincial and municipal competitions. The school had established 8 research centers focusing on Wenzhou economic research (provincial research platform), Wenzhou financial research (municipal research platform), national economy, family business and entrepreneurship, etc. In recent five years, our staff had undertaken more than a hundred of research grants in national, provincial and municipal level. The research results are adopted by the journals of “Report of Essential Achievements” and “Chinese Journal of Social Sciences” managed by the National Social Science Planning Office. Our staff has published 29 papers on top and first-rank journals such as “Xinhua Digest” and won 3 awards for Zhejiang Province Philosophy and Social Science Achievement. The School also actively involves in local economic and management practice by undertaking numbers of consulting projects for local governments and enterprises, the research findings of which had been highly recognized by the academic, government, and society.